If you have a laminator or are planning on buying one, you will probably need a few accessories to use with your machine. 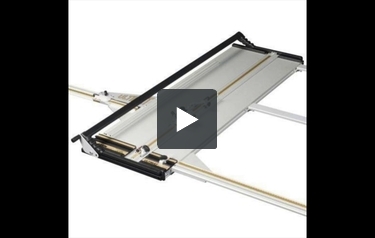 We carry a number of different options including a high quality rolling laminator workstation. We also carry a PCR roller to control dust on your prints as well as cleaning pads for your PCR Roller. Or, perhaps you need a stand, an extra take up roller, dust cover or trimming blades. We carry them all. Check them out and feel free to ask us if you have any questions. Size: 1 3/8" x 1 3/8" x 6"
Specially designed for multi-heat laminators, this large, rubber cleaning block removes adhesive residue from roller surfaces. Welcome to MyBinding video. If you have a laminator or planning on buying one, especially a large one for industrial use, you’ll probably need accessories – a cart, workstation, cleaners, laminating pouch carriers, all kinds of things. Here at MyBinding.com, we strive to have everything in stock ready to go, and our knowledgeable sales staff can help you on the phone to decide exactly on the items that you need to work best in your projects. We also carry PCR rollers to control dust on your prints as well as all kinds of cleaning utensils and anti-static accessories. Cutters, trimmers, racks and cleaners, lets us help you look your best. When image matters, MyBinding.